There’s good news for laptop buyers in my fall guide this time: The confusing changes in the sagging laptop industry have settled down enough that if you need one, now may be the time to buy one. Microsoft and Apple are launching tweaked versions of their operating systems, but they aren’t radical changes this time that require a lot of new learning. And Intel has introduced new processors, which greatly enhance laptop battery life on both Windows and Mac models. While prices of touchscreen Windows 8 laptops can still surge above $1,000, especially for the thinnest models, they seem to have eased a bit and you can find plenty of choices between $600 and $900. The stores have stopped pushing most of the clumsier tablet-laptop hybrids. Let me be clear: If you found Windows 8 with its dual user interfaces confusing, you still will. The new, modified version called Windows 8.1 is built on the same fundamental design. And Microsoft is still putting most of its emphasis on the tabletlike Start screen, which works best with a touchscreen and much better on a tablet than on a laptop. But in a concession to rebellious users, the company has made it possible to bypass the Start screen at startup and go right to the familiar Windows desktop — provided you can find the buried setting that permits this. So here are some tips on what to look for in a laptop this fall. As always, this guide is meant for average users doing typical tasks, not corporate IT staffs, or people doing heavy-duty work like video production. 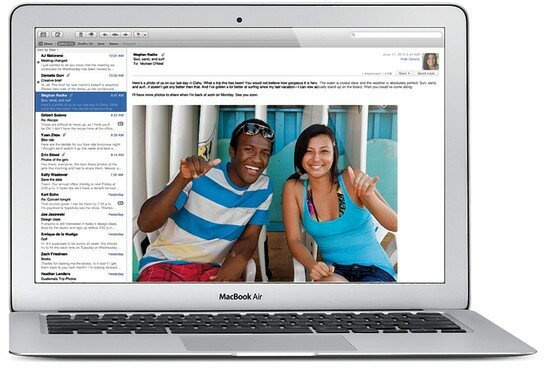 With Intel’s new processors, Apple’s MacBook Air lasted more than 10 hours in one test. If you care about battery life in a laptop, look for what Intel calls its 4th Generation Core processors. Back in June, when I tested one of the first laptops to adopt this chip—Apple’s MacBook Air—it racked up a 65% gain in battery life and lasted over 10 hours on a single charge in my harsh battery test. A paper-thin Sony running Windows 8 lasted nearly six hours. 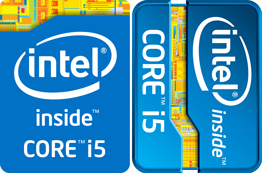 It can be hard to tell which laptops have these new processors since they are still named Core i3, i5 and i7, just like the last generation. Look for a redesigned “Intel Inside” sticker on the laptop. 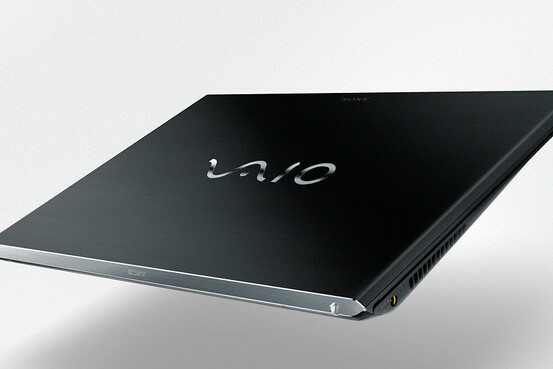 Sony’s Sony Vaio Pro 13 ultrabook lasted nearly six hours in a test. Models with the new, battery-boosting chips have a more vertical blue sticker with a gold band across the top edge, as opposed to the older horizontal sticker with a gold band in the middle. Typical users should choose an i5 version. Unlike Windows vendors, Apple has stuck with standard screens and built its many touch gestures into the large, smooth-running touch pads on its MacBooks. 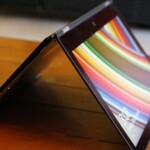 Laptops that contort into a tablet using special hinges and slide mechanisms tend to make for thick and heavy tablets. As always, Macs aren’t the cheapest laptops, starting at $999. And they only come in two lines, the thinner, lighter MacBook Air and the beefier MacBook Pro. If you prefer Windows 8, are looking for variety, or are on a budget, you want a Windows laptop. But the Macs are excellent, reliable, versatile products and far less susceptible to viruses than Windows PCs. Apple is using the new 4th Generation Intel processors. The company has a new version of its operating system, called Mavericks, which claims greater speed, improvements to the built-in apps and Mac versions of two iPhone and iPad apps: iBooks and Maps. You no longer need to buy a touchscreen laptop to get the most out of a Windows 8 laptop. Windows 8.1 allows you to boot directly into the familiar desktop, which is best used with a keyboard and mouse. 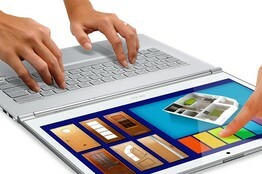 And the mouse and keyboard will work for the touch-centric parts of Windows. If you expect to spend a lot of time in the Start screen and the tabletlike apps that live there, I advise using a touchscreen. 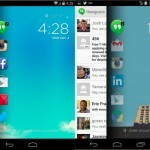 Tablets are taking over many of the tasks, including word processing, that were formerly commonly done on laptops. If your laptop is doing fine and you want a new device, it’s worth considering a quality tablet like an iPad or a name-brand Android model. Apple brought out new, faster iPad models Tuesday. These combo laptops, which attempt to contort into a tablet using special hinges and slide mechanisms, seem to be fading. I don’t recommend them because they tend to make for thick, heavy tablets. 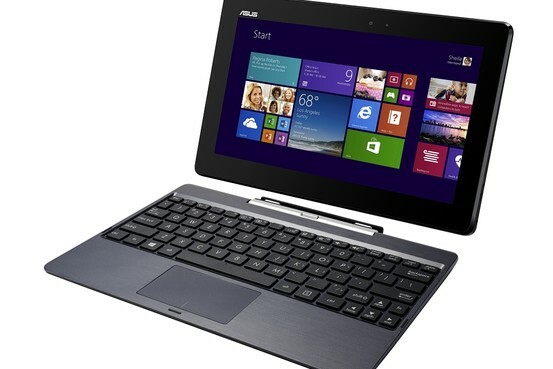 The Asus Transformer Book T100 is a 10-inch tablet running full Windows 8.1 that snaps into a laptop keyboard. 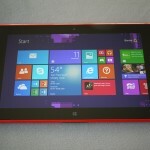 On the other hand, I do like the idea of Windows 8 laptops in which the screen can be removed and used as a tablet. These machines, called detachables, are getting better and less expensive. One interesting model I tried briefly — but did not thoroughly test — is the Asus Transformer Book T100, which starts at $349. It’s a 10-inch tablet running full Windows 8.1 that snaps into a laptop keyboard. Machines with Intel’s 4th Generation Core processors have a sticker with a gold band at the top, not the middle. You can still buy Windows laptops for as little as $250 or $300, but I don’t recommend it because they tend to use old or lower-quality components. A good midrange price is around $500 to $700. 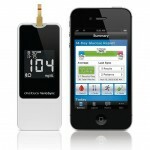 Touchscreen models and those with the latest processors, or the thinnest and lightest bodies, run highest. It’s safe to buy a laptop again. Just pay attention to those Intel stickers.